Sorry for being somewhat MIA lately. I have been running around like crazy pulling together our own Halloween party that I haven't been able to devote the time here that I would like. 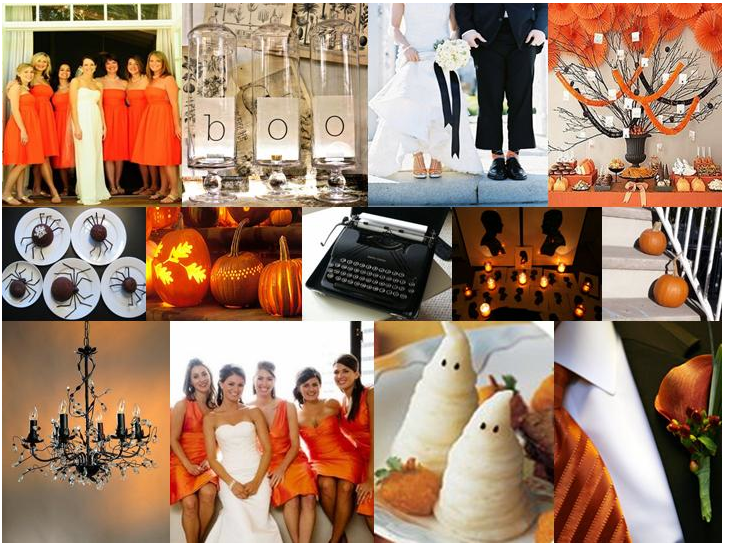 It's not much of an excuse, though, as Halloween is just days away and there's still plenty of inspiration to be had! 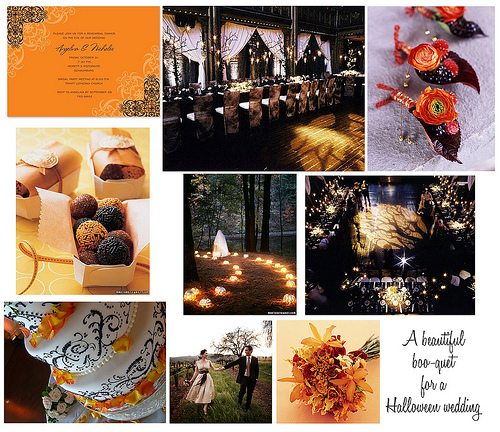 I love Halloween, and I love weddings, but have you ever noticed how a lot of Halloween-themed weddings can get really zombie-horror-over-the-top? 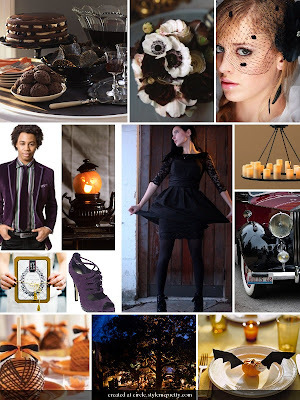 If that's your thing, I totally get that, but I love that you can also use a lot of Halloween elements like pumpkins, a full moon, elegant black, etc. in a sophisticated, (and dare I say romantic?) way. A lighted pumpkin path creates a magical effect. Love these fun details in classic black and orange. 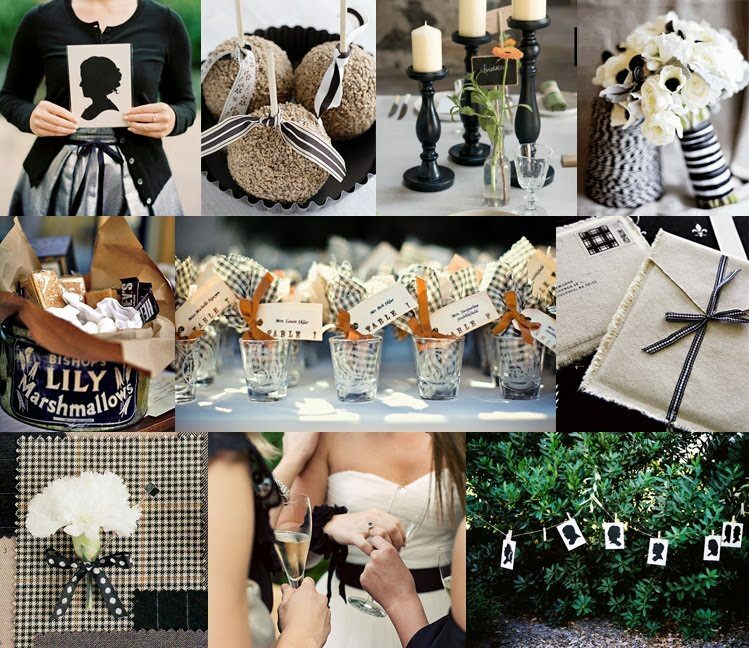 Or, skip the orange for old-fashioned black and white checkered pattern. The effect of the tree silhouette over the dance floor spotlight is simply amazing! Holiday-appropriate yet still elegant! I also really enjoyed this fan-created inspiration board with all the trimmings from The Style Circle. This is totally epic. Gratitude for this wonderful share here. We are also planning our fun DIY wedding and we would like to book one of prettiest San Francisco wedding venues for that. We want a funky wedding party so if you have some unique ideas, please share.